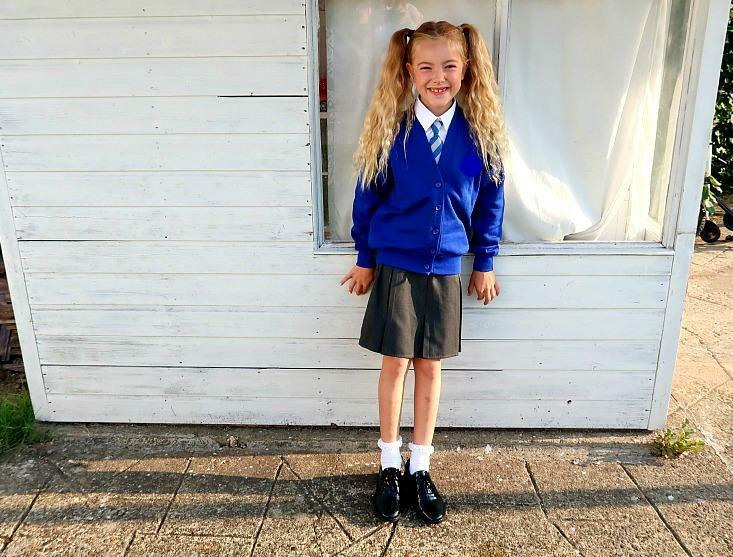 It is that time of year again when I write a little post about Sophia starting a new school year. 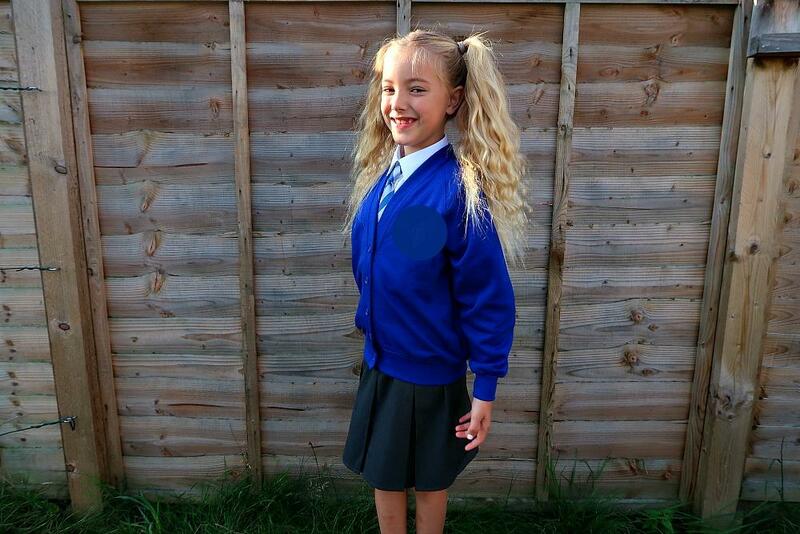 She is now in year 3 and this summer it has felt like I have blinked and we have come to the end of it already. Where did it go? I think it is also the mix of having Arthur. We’ve had a lovely summer together, and I say is every year but I feel like they all grow up so quickly over the summer. It’s crazy. 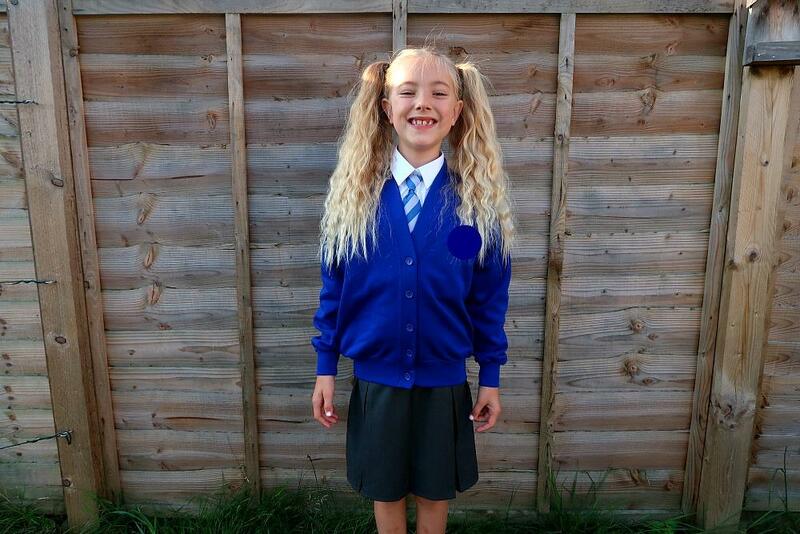 Firstly just look at you and your beautiful smile, your long golden hair which you requested I french plait the night before so you could have curly pigtails for school on your first day back. 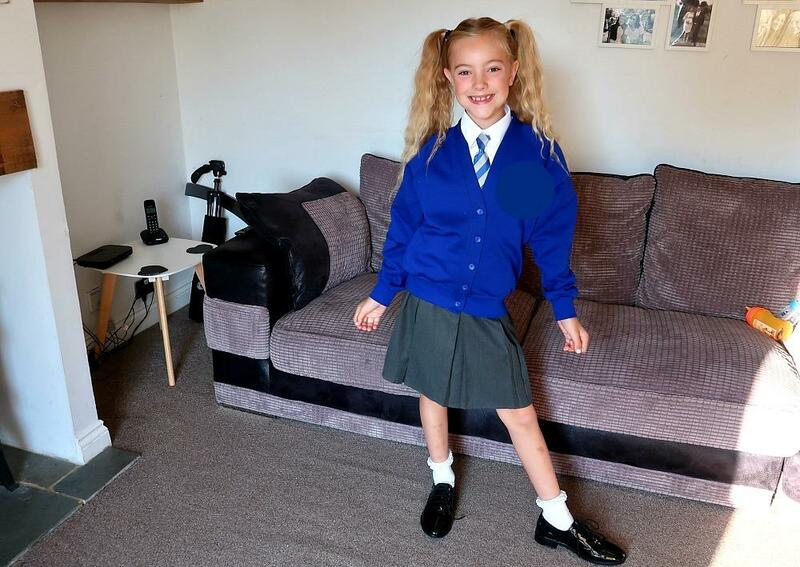 All your uniform is age 9-10 although you are still 7. You are wonderful and tall and I often look at you and wonder how your dad and I made such an amazingly wonderful little girl. We adore you and are so proud of you in every single way. I promise I will always write you these yearly letters even if as you get older I don’t share them on my blog. Because they have become quite special to me and I love knowing that in years to come you will read them and know just how wonderful you have always been. The 6 weeks of summer seemed to go really fast for us all. We had a lovely one visiting your granny in wales and visiting lots of national trusts with me and your brothers, we all have lots of fun at our favourite national trusts. Hope you’ll always remember those trips fondly. And I hope you’ll always love them as much as I do. We went to Chessington and we managed to see some of you friends over the summer too, it was lovely. You didn’t once ask to go back to school this summer and actually couldn’t believe how quickly it had come round, but we visited Wales (a last minute trip to view some houses) the weekend before back to school so that took your mind off it as we had one last lovely family weekend together. We viewed some houses too which you came to one of the viewings with us too. We drove home on the Sunday evening arriving back at 10pm and you had school on Monday. I had set your uniform and bag up all ready on the Friday night as I knew we’d be back late so we were fully prepared on Monday morning. You got yourself up Monday morning and dressed and ready you then took little Arthur to the living room with you and waited for mummy to make you and Archie a hot chocolate. Its become quite a thing in the mornings. Im not sure I will get a good mum award for a hot chocolate in the morning but it makes you and your brother happy so I will give up the good mum award for that. I did your hair and you said how excited you were to see your friends as you had missed them over summer. Thats something I love now, that we have ‘proper’ mum and daughter conversations about your friends, your day, what you like ,what you don’t. I love getting to know you you are such an amazingly lovely little lady and I just know you will go so far in life with you kind heart and gentle ways. 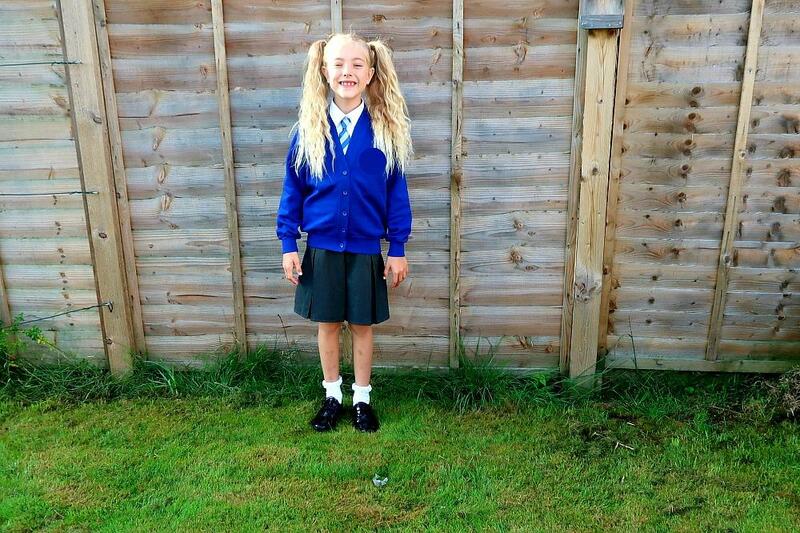 You are truly a special little girl and Im so lucky I get to be your mummy. We also went to Zumba class together Monday evening after school at 7pm, a new thing for you and I and I absolutely loved having you with me. It was so great to do this class with you and I think you felt equally as proud to be there with me too. We went to the one stop shop afterwards and brought some magazines and treats, you picked a girly one with eyeshadows in and mum bought a home magazine and a spirit and mind magazine I think its called. We got some biscuits too and you came home with some sort of sugary sweet. We sat at the dinning table and read our mags, ate our treats before a quick shower and bed. Your first Monday back to school was a success and you went in beaming and with a grin from ear to ear, happy confident and loved. You have signed yourself up to choir club which I am pleased about and you’ll also be doing swimming lessons at school this year too. You said you had a wonderful first day back. I think this is going to be one of your best years yet my love, you make me proud in everything you do and watching grow into a young lady is my complete privilege, I promise to always be there for you as I know you’ll need me lots as you grow. I love how much our little bond is growing both as mummy and daughter and as friends. You are a little star, my little star, and you shine so bright.